Professional Accounting Solutions, LLC — founded by Sebrina Jeffers — provides small businesses and individuals with accounting, tax, and other financial ways to grow their business. 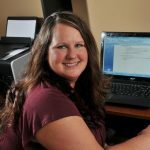 She also offers bookkeeping and payroll services, as well as QuickBooks Online consulting and solutions. Work For Professional Accounting Solutions, LLC? Claim This Page.